Microlight Flight Is Your Ticket To Glide With Adrenaline! Take to the skies in the light-as-air experience of Microlights. Adrenaline offers high fliers the best lightweight options with a big impact for tranquil flight that also capture breathtaking views. Seeing the light means taking flight in the featherweight experience of microlight. To the budding aerialist who craves fresh adventure, microlight or ultra-light aviation takes place in a weight-shift controlled aircraft. 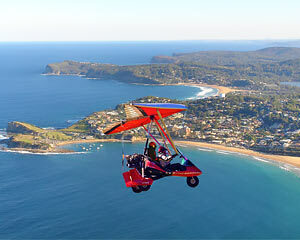 A microlight looks like a trike with wings, is electric powered and seats a maximum two passengers. As a parallel, the serene cruising altitude of these slow-flying aeroplanes is akin to the experience of hang gliding. The aircraft might be petite, but the pilot or hang glider can assume macro exhilaration levels with the elevated range of microlight offerings online at Adrenaline. 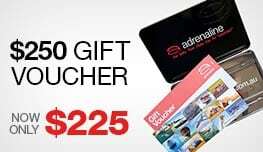 You can book the Microlight, 40-Minute Combination Flight – Central Coast package or order an Adrenaline gift voucher to redeem this lightweight but big impact experience. 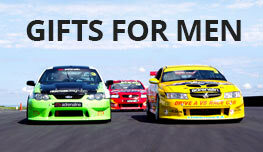 Gift vouchers are valid for three years, can be emailed or pre-ordered to arrive in a trademark brushed metal gift box. As a learn-to-fly experience or for return recreational aviators, the unique microlight flight covers full training on techniques, all safety features and measures. Dual controls on board your aircraft provide the power for first timers to direct and steer your flight, should conditions allow. Your expert instructor will guide your experience every step of the way. So sit back, relax and enjoy the magic and liberation of floating on air without a care. These customised, lightweight aircraft have no cockpit, which means an open-air aerial experience of unmatched scenic and sensational splendour. You’ll be exposed to the breeze and all natural elements in your microlight flight. This level of aerial exhilaration will leave you feeling as free as bird – you could even be mistaken for a giant avian among your feathered friends while drifting high in the sky. Microlight packages offered at Adrenaline are also as low-priced as the experience is set to transport you to a permanent high for weeks to follow. Do you need a license for a microlight? Microlight was created for recreational aviation pursuits and requires minimum regulation. As such, first-time pilots do not require a license to fly. Depending on the type of aircraft, flights of up to 1609km have been achieved in a microlight. The normal range for a flex-wing aircraft is around 257km, but this is reliant upon windless conditions. Most fixed-wing microlights are more limited by range, but some of the newer models have recorded flight lengths that easily exceed most flex-wing capabilities. Your 40-minute Central Coast microlight experience with Adrenaline will provide a breathtaking taste for more of the power and freedom of gliding high in light-as-air style. How old do you have to be to fly a microlight? The minimum age for taking flight in a micolight is 12 years old, but if you are aged between 12 and 18 years old, a parent or guardian will be required on the day to sign paperwork.